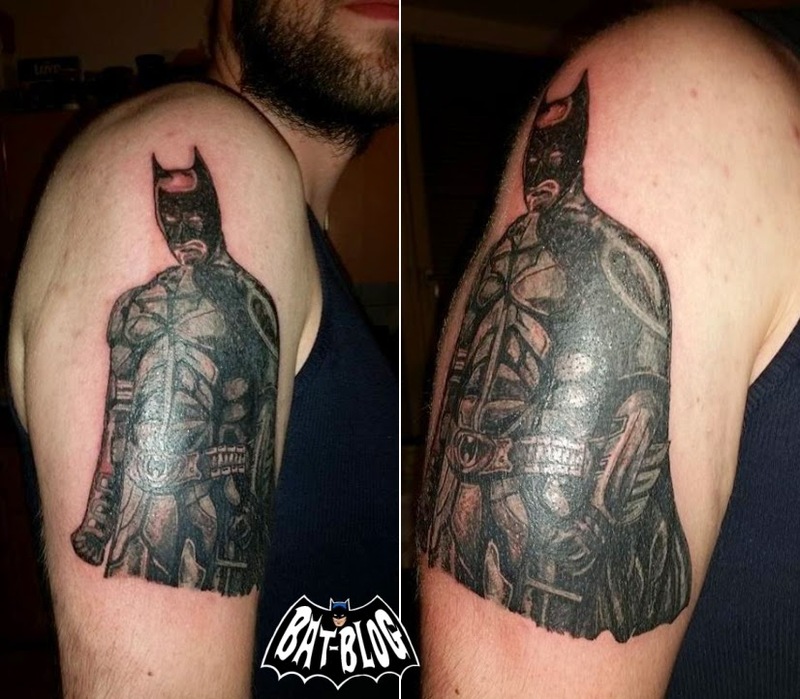 BAT - BLOG : BATMAN TOYS and COLLECTIBLES: Awesome #BATMAN TATTOO ART Spotted in the Czech Republic! Awesome #BATMAN TATTOO ART Spotted in the Czech Republic! A friend of ours on the BAT-BLOG FACEBOOK Page was kind enough to share some wonderful photos showing his new Batman Tattoo Art he just got. It's the "Dark Knight Trilogy" version of the character and the artwork came out really good. His name is Roman and he said he plans on adding a few more characters with a background of Gotham City. Sounds Awesome! We can't wait to see the finished product, but it's looking great so far!